Noah Creshevsky began musical study at the Eastman School of Music. He graduated from the State University of New York at Buffalo, where he was a pupil of VirgilThomson, arid studied with Nadia Boulanger in Paris and Fontainebleau. His master�s degree is from the JulWard School, where he was a pupil of Luciano Berio. 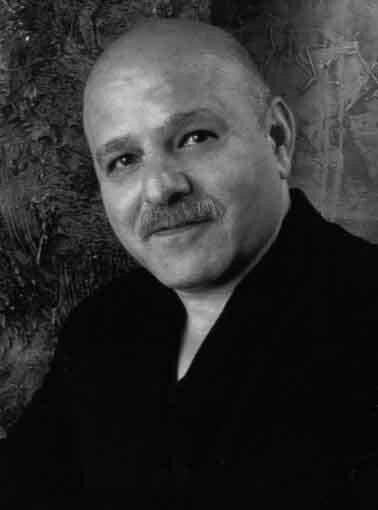 Creshevsky�s work has been supported by grants and awards from the National Endowment for the Arts, the New York State Council on the Arts, and ASCAP. It has been published by Alexander Broude, released on recordings, and performed and broadcast in the United States, Europe and Asia. A professor of music at Brooklyn College of the City University of New York, Creshevsky has served on the faculties of the Juilliard School and Hunter College and as a visiting professor at Princeton University. Creshevsky has been composing electronic music for more than twenty years. Many of his works explore the boundaries of real and imaginary ensembles though the fusion of opposites: music and noise, comprehensible and incomprehensible vocal sources, human and superhuman instrumental skIlls. His latest music integrates electronic and acoustic sources to create superperformers � hypothetical virtuosos who transcend the limitations of individual performance capabilities. 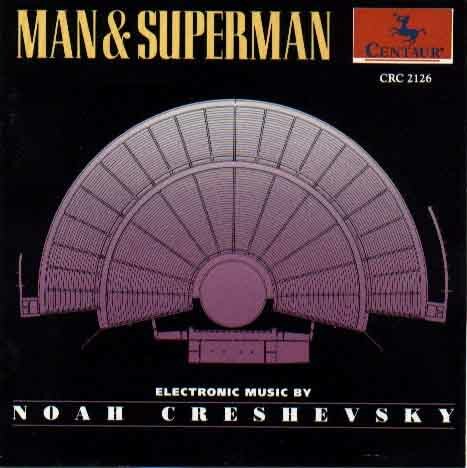 The result is electronic music of symphonic proportion in which expansive gesture and a vast sonic palette are combined to form expressive ties between the real and unreal, man and superman. One plays the way one can One plays the way one can�t One talks, One does other things. The fusion in Memento Mon o radically contrasting material represents the ever-present awarenes of the human condition, a recognition of our collective identity, and the inevitableility of our common destinations - made every day more movingly evident. � Virgil Thomson, reviewing Wanda Landowska�s performance of Bach�s Goldberg Variations, February 22, 1942. Electric Partita was composed for an ensemble of improbably accomplished performers, capable neither of fatigue nor histrionics, that exists and can only exist on tape. Digital dexterity reaches unlikely levels through the union of the human hand and the digital computer. A technical feature of the 14th- I century isorhythmic motet is the application of a reiterated pattern of time values to present a liturgical cantus firmus. Of particular appeal are motets in which the number of notes in the melody � color � and rhythmic pattern � talea � do not coincide. This produces a complex internal order which is anything but obvious to the ear. A concealed interior structure existing in the realm of abstraction and I contemplation rather than as something capable of being detected by hearing would have pleased the medieval musician. Talea 1991 A technical feature of the 14th- century isorhythmic motet is the application of a reiterated pattern of time values to present a liturgical cantus firmus. A concealed interior structure existing in the realm of abstraction and contemplation rather than as something capable of being detected by hearing would have pleased the medieval musician.